The West Coast Eagles are bitterly disappointed with the AFL’s decision to postpone the club’s entry into the AFLW competition until the 2020 season. 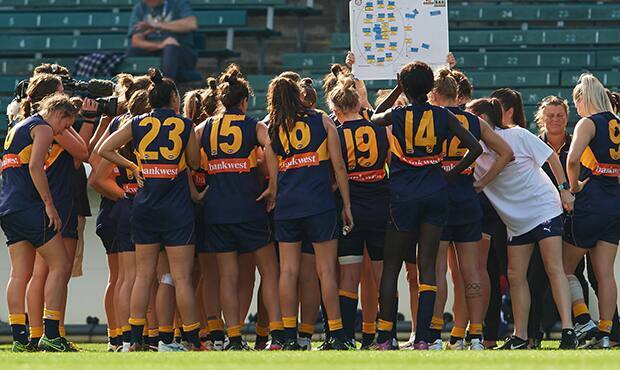 The West Coast Eagles have channelled a great deal of energy into growing female pathways for women in the game, particularly in Western Australia, and we believe our submission clearly demonstrated our capacity to have a profound effect on the growth of AFLW from 2019. The club is working with more than 75,000 females in schools annually through our education based community programs across schools in Western Australia. And approximately 45 per cent of the almost 700,000 West Coast Eagles supporters are female. Like us, we expect that Western Australian female footballers will be disappointed that their football pathway has been delayed but we are committed to continuing to support them through our West Coast Eagles Female Academy. Construction of the club’s new base at Lathlain Park will start shortly and will include dedicated facilities for a women’s team, adding to the disappointment at not being granted a licence for the expanded competition. West Coast will, however, use the additional 12 months to build an even stronger connection with female football in the State through its female academy and will be ready to launch into the AFLW in 2020.